... 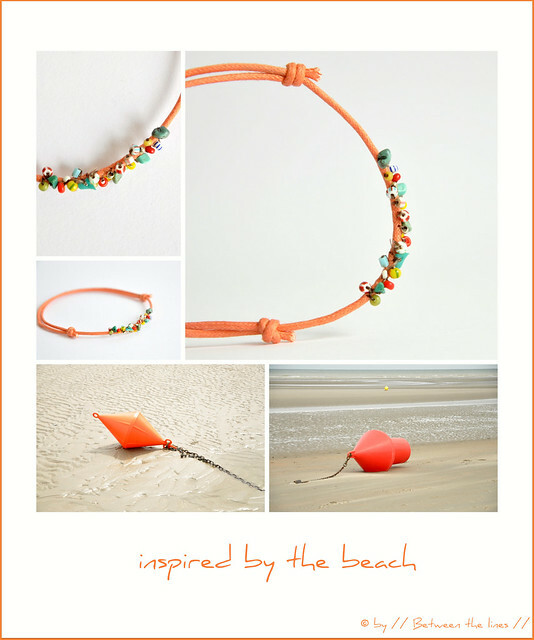 I made this bracelet the other night inspired by the red, orange and yellow buoys on the beach. Very easy to make if you have needle and thread, seed beads, chips of turquoise and a piece of shoe lace at hand. Just sew the seed beads on, one by one, centered onto the shoelace. When done, go through all the beads in the opposite direction to make sure they'll stay put. Secure with a firm knot and cut off excess thread. Make a slip knot at both ends and there you go: a bracelet - or anklet, if you like.